This WIAW is from right before we went on holidays so I was trying to use up all the bread we had in the house before we left! 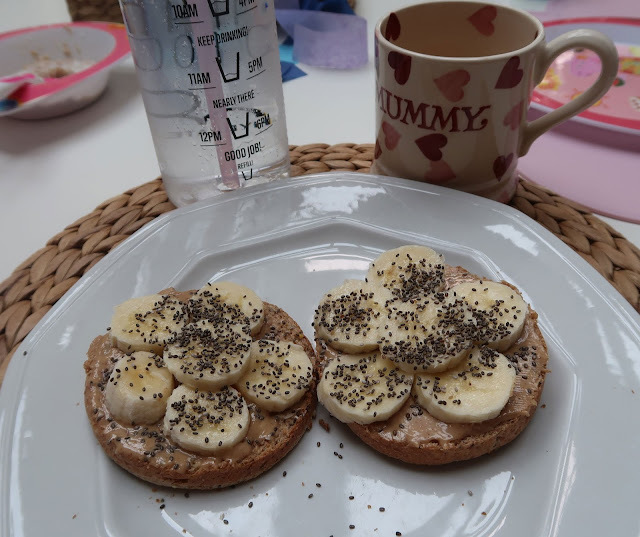 My breakfast was the same two days in a row; a wholewheat muffin with peanut butter, banana and chia seeds, a black coffee and water! 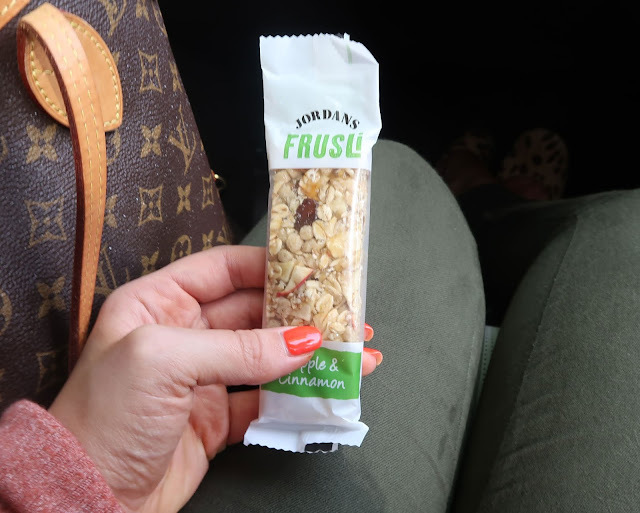 We decided to head to Bluewater which takes about 30-40 minutes and on the way I had packed a snack of this Apple & Cinnamon Frusli bar! 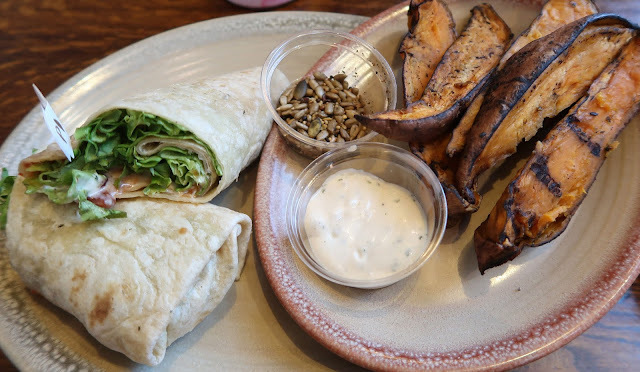 We ate lunch at Nando's and I got a grilled chicken wrap with a side of sweet potato wedges. I can't remember the last time we ate Nando's and this was delicious! To drink I just had the usual...water! 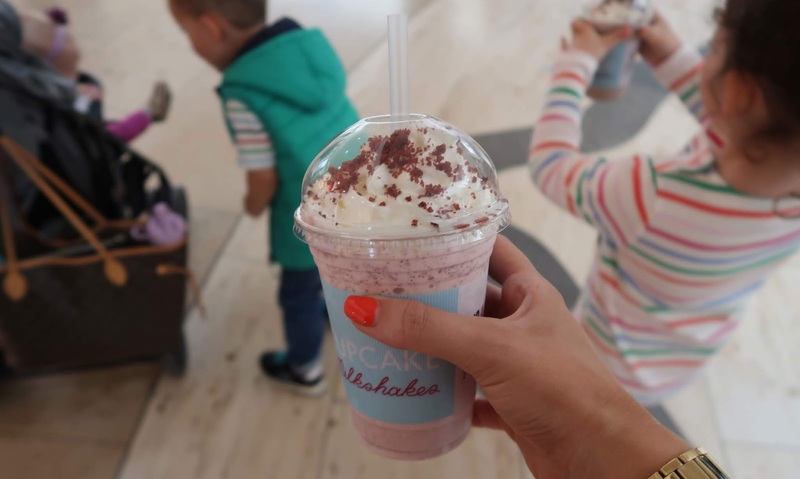 This is a once a year kind of treat...but Lola's Cupcakes do the most incredible cupcake milkshakes where they basically blend a whole entire cupcake up with a load of cream and it is the most amazing thing in the entire world! I have only ever had these with my mum and my sister Erika as Emilia was always too little but this time we had our first mummy daughter cupcake shake date! She was SO excited and it was the cutest thing! I got my favourite, red velvet and Emilia got a "chocolate heaven" with gold glitter on top. She had about a quarter of it before giving up, lol. I don't know is it because I'm 30 now or am I just not used to them anymore but I used to be able to put this away fairly easily whereas this time I was DEAD after! The cupcake shake has defeated me!! It was incredible but I paid for it afterwards...I felt like I was going to explode! Sorry this photo is a sloppy mess, I'm definitely no food blogger that's for sure! (We need smaller bowls I think...hahaha!) 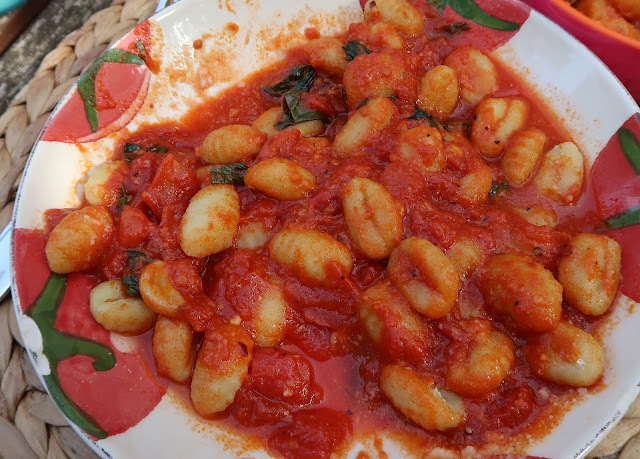 For dinner we had gnocchi with a garlic, tomato & basil sauce. This was just a really easy, lazy weekend meal that was quick to whip up after we got home from Bluewater. Add parmesan cheese on top and it's done! After the kids went to bed I was somehow hungry again (don't even ask me why!) and had a bowl of mini wheats with almond milk & cane sugar. 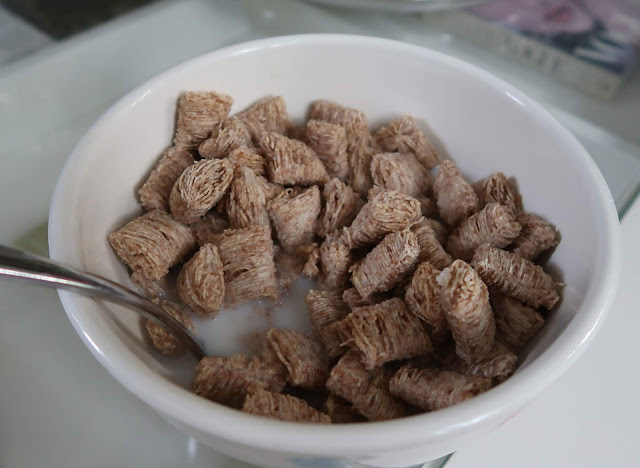 Oddly enough I had been craving mini wheats all day since Alessia had them for her breakfast! To drink I had more water. I love cereal for a night-time snack. I eat it more at night than I ever do for breakfast! Lovely photos! :) I like your blog. I'm not the biggest milkshake fan but those milkshakes look and sound amazing! 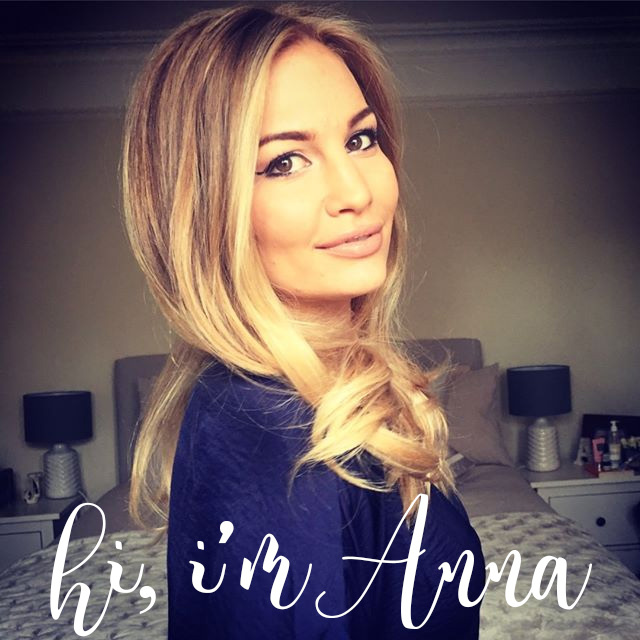 Always a pleasure to read and watch your WIAW Anna. Well done.